HEB Scunthorpe Scorpions have made an early team change, with Danny Ayres coming to replace Australian newcomer Jedd List. 17-year-old List has found the going very tough in his opening three meetings, scoring three points from 11 rides. Scunthorpe promoter Rob Godfrey said: “As the fans at Scunthorpe will know, I am very loyal to my riders and making such an early team change is not usually what I would choose to do. Meanwhile, 32-year-old Ayres last rode in the Championship with Redcar in 2017 and will come in on an average of 4.24. 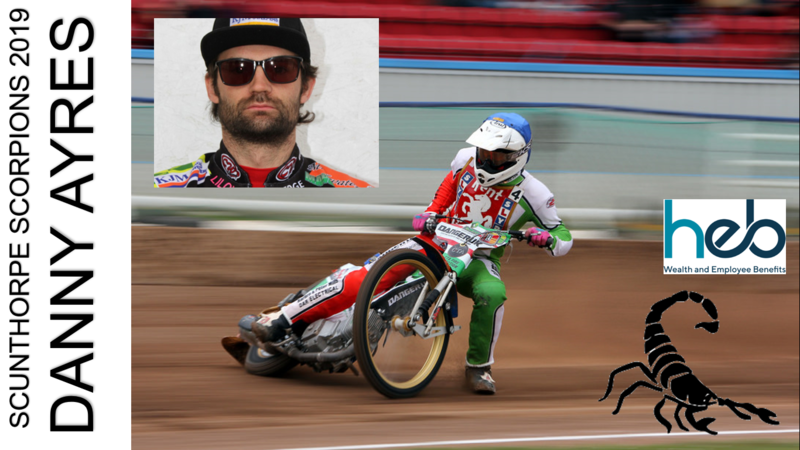 The Suffolk-born rider will make his debut in the cup match against Edinburgh at the Eddie Wright Raceway this Sunday (5.30pm). Godfrey enthuses: “I think Danny Ayres will be a superb signing for us. “He rides our track so well – it’s one of his favourite tracks. He’s invested in new equipment for this year, and he’s so up for it. “When I think about it, if we’d have had Danny in the team, there’s a good chance we could have won our opening meeting at Sheffield, and we’d have sent Leicester away from our place without a point.